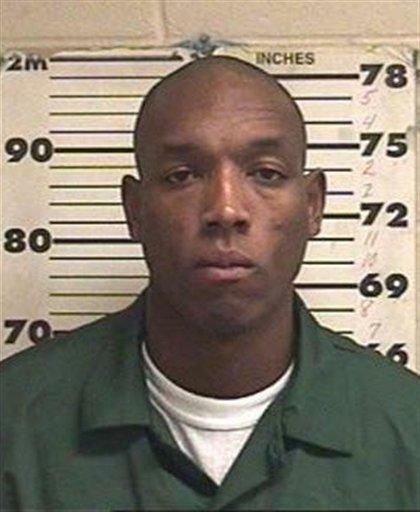 MIAMI (AP) - U.S. marshals in Florida fatally shot a fugitive wanted in New York City for mutilating a lawyer and stuffing him into the trunk of his BMW, a law enforcement official said Friday. Barion Blake opened fire on the marshals after they tracked him to Jacksonville and tried to arrest him, said the official, who spoke to The Associated Press on condition of anonymity because the official was not authorized to publicly speak about the case. No law enforcement officers were injured and it was not clear why Blake was in Florida. He had been on the run since he got into a fender-bender in snowy Manhattan on Jan. 26. Police noticed the BMW's interior was bloody and found Akeem Ajimotokan in the trunk with his hands behind his back. He had been stabbed in the head and body and his ear was partially sliced off, police said. Ajimotokan has been in a coma for two weeks. A telephone message left for his brother, Dr. Ayo Ajim, wasn't immediately returned. The Columbia University lawyer had placed an ad online offering to sell the sedan. He included his home number in his description of the fully loaded, 2008 metallic blue BMW M3. Authorities believe Blake, who was previously convicted of stealing high-end BMWs, contacted Ajimotokan and went to his home in West New York, N.J., not far from Manhattan, sometime during the evening of Jan. 25. At around 3 a.m. on Jan. 26, Blake and another man were spotted outside the BMW on New York's Long Island, and police said it looked like they were switching license plates. When the officer approached, they sped off. The police car overturned in thick snow and they escaped. Police believe Ajimotokan was already bloodied in the trunk at that time. But he wasn't discovered for six more hours, when Blake, now alone, rear-ended a taxi driver in the snow in upper Manhattan, miles away from Long Island. Responding officers called in the number for the plate and found it belonged on a Toyota parked in Queens. The owner didn't know the plate had been stolen until police told him. The BMW's interior was bloody and the officers noticed that part of the rear seat was missing, which led them to Ajimotokan. Police said Blake's name was on the handwritten bill of sale found in the car, and he was identified in a police photo lineup as the man driving Ajimotokan's car. Sometime during the ordeal, Blake told his wife that he had done something wrong, according to police. Blake has served time twice. He was jailed from Feb. 2001 until 2004 for stealing a 2000 BMW worth $80,000, a BMW worth $79,000 and a 2001 BMW, said Linda Foglia, spokeswoman for the New York State Department of Correctional Services. He was released to the custody of New Jersey authorities and convicted again in New York in 2006 of attempted assault on a police officer, Foglia said. He was in jail from 2007 until December 2008. His last known address was in Manhattan. Supervisory Deputy U.S. Marshal Penelope Knox said seven law enforcement officers from four different agencies went to apprehend a suspect in Jacksonville Friday. That's when the were able to pinpoint his location after getting information from the New York Police Department two days earlier that he might be in the area. When they went into his apartment, he ran out the back door, jumped off a second-floor balcony and began shooting, Knox said. Officers returned fire. Peltz reported from New York City. AP writer David Caruso contributed from New York City.